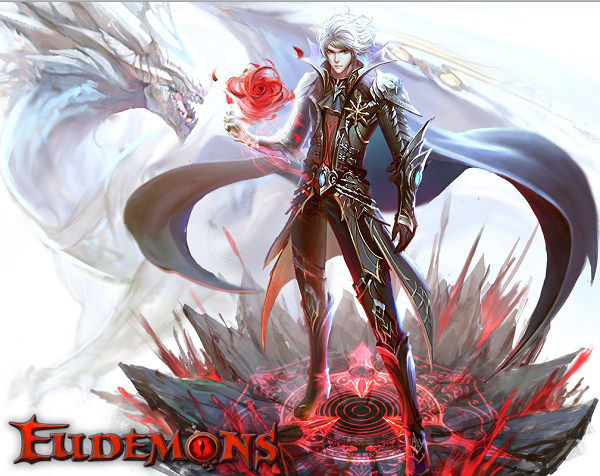 Eudemons Online is a game developed by TQ Digital Entertainment. The playstyle behind it will immediately feel familiar for gamers that have tried TQ’s other flagship game, Conquer Online. As a free stunning Fantasy MMORPG, Eudemons Online combines a gorgeous western style with oriental aesthetic perspectives perfectly. Whether you choose to be a Warrior, Mage, Paladin, or the new Vampire class, there are over 100 distinctive Eudemons ready to assist you all along the epic adventure. Eudemons Online is a game based around having pets. These pets are called Eudemons and will be your sidekick in the game. It is possible to have multiple Eudemons, however you can only summon one at a time. These Eudemons help buff you and assault your targets with a variety of customizable skills. All the Eudemons have an inherent race that plays an important factor depending on the environment you are in. The Eudemons can acquire a level when their master levels up. They also gain levels by defeating monsters or through quests. The replayability these Eudemons provide is not to be underestimated as a single Eudemon can change the way the whole game feels. Back in June Eudemons introduced an expansion known as the Edge of Night. Edge of Night brings a lot of new features in to the game such as brand new weapons, new Eudemons & mounts, new daily quests and new skills. Edge of Night also introduces the Vampire class. This class is a mythical being that lives by feeding on the life of other living creatures. The Vampire can easily be called the best looking class in the game. Their facial appearance, gothic avatar and their seductive body are not the only good looking features. Equipped with their deadly sharp claws, they are able to hang in melee range with even Warriors in PvP. While the vampire is an expert duelist, they lack the kind of crowd control required to be a threat against a large group of enemies. The Vampire has target locking skills; these skills are known as the Shadowy Claw and Whirly Claw. These long lasting techniques will trap the target; causing them temporary paralysis and leaving them open for the vampire to do his job. This class is known to have superhuman strength, immortality, and command over animals and demons, shape shifting and the ability to convert normal humans. The Vampire is also able to attain demonic wings. These wings allow them to temporarily increase their attack percentage for a period of time. Penetration is an important passive skill built into the Vampire. The skill Penetration will help the Vampire to directly attack your opponent’s health, regardless if they have Eudemons converged or not. This skill however activates automatically at random times so don’t count on it to save you. The Vampire has its own ‘Ghost Horse’ mount. 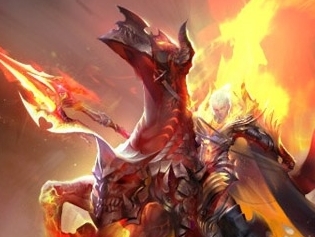 This mount has a unique look with deep royal blue flames surrounding the horse, leaving a trail of fire while it runs. Once the Blood Soul has reached Star Level 10, players are automatically able to use the skill “Soul Steed” from your Skill book. It doesn’t share any damage, but you will able to set this as your Acrobat in your Knights table. When the Blood Soul dances, it glides through the air and hops twice, leaving a trail of dark blue flames in its wake for an awe inspiring effect. Eudemons Online is a nice mixture between Pokemon and Digimon. The game itself has unique features to keep you entertained for a while and has a very fun PvP aspect. The expansion Edge of the Night has added a lot more Eudemons, skills and weapons in addition to the well designed and beautifully rendered vampire class. If you love rouge style professions but want a bit more magic and mayhem, this class will be a dream come true. All in all the Edge of Night expansion breathes new life into Eudemons while adding an extra layer of difficulty to PvP by forcing players to learn new counter tactics against vampires. If you like to PvP, collect pets, and miss the top down Hack N Slash style of the 90s, Eudemons Online: Edge of Night is the game for you.